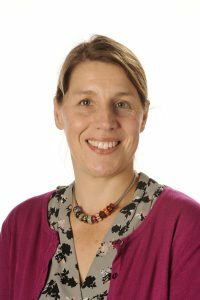 Professor Monica Busse is a physiotherapist with an established interest in exercise and physical activity for individuals with chronic health conditions, with a particular focus on the development of targeted physical interventions in neurodegenerative diseases. Her specific expertise is in the assessment and management of mobility problems and falls, defining contents of physiotherapy interventions, methodologies for appropriate assessment of outcomes in complex health conditions and promotion of physical activity for health (along with behavior change applications and development of interventions). Over the past 8 years, she has been and continues to be principal investigator in a series of multicentre observational and interventional studies related to physiotherapy, physical activity and mobility in Huntington’s Disease. Within a wider neurology remit, she has conducted studies of mobility and falls in muscular dystrophy, mobility assessments in Multiple Sclerosis and focussed on documentation of rehabilitation interventions and investigating the role of neural feedback in people with Parkinson’s disease, where her expertise in outcome measures and physical training is informing both intervention delivery and assessment of mobility.